Back in January, we introduced you to the Rahimov family. They had immigrated from Uzbekistan, and we met them on the day they became U.S. citizens in Kansas City, Mo. 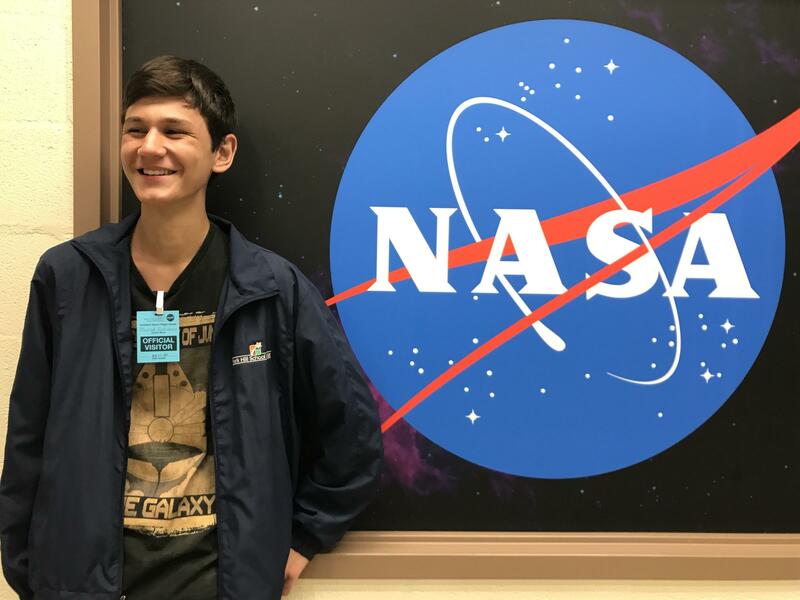 In that story, we heard 16-year-old Murad Rahimov talk about how much he loves astronomy and his dream to work for NASA. As it happens, a NASA astrophysicist was listening to that story too. And he reached out. Last week, the two met up at the Goddard Space Flight Center outside Washington, D.C. NPR's Melissa Block picks up their story. 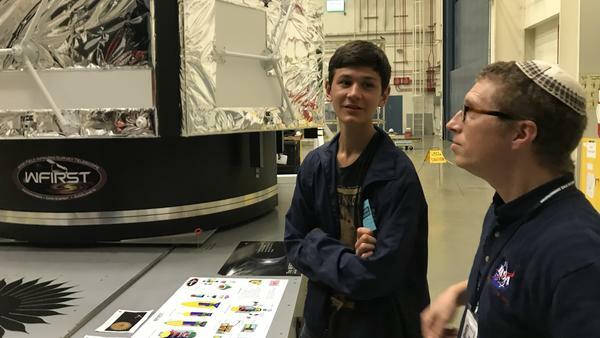 MELISSA BLOCK, BYLINE: The astrophysicist and the young would-be astronaut first connected by email. MURAD: (Reading) Hello, Dr. Schnittman, how are you? Thanks so much for having the interest in me. BLOCK: Murad wrote that he's been fascinated by space since he was 3, that his dream is to lead a mission to Mars. MURAD: (Reading) I find it unusually strange how most people don't have the curiosity and drive to understand things larger than themselves. BLOCK: ...Murad and his mother Limara took him up on the offer. SCHNITTMAN: You have a good trip? BLOCK: Murad is wearing a T-shirt with a picture of the Millennium Falcon spaceship from "Star Wars" and this line from the movie - the fastest hunk of junk in the galaxy. And as he tours the Goddard Space Flight Center, you can tell he's in his element. 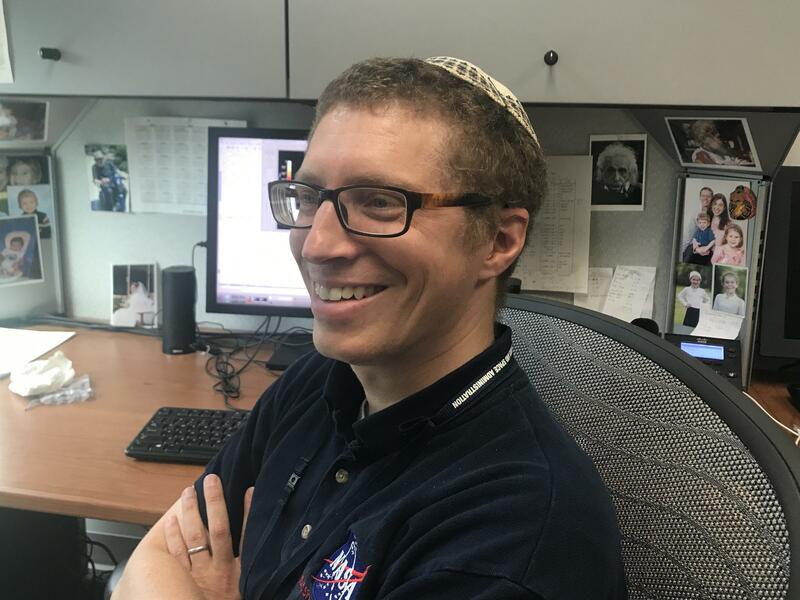 SCHNITTMAN: Do you know about redshift? MURAD: Yeah, it's like space is accelerating, yeah. BLOCK: Dr. Schnittman shows Murad the clean room, where they build giant space telescopes that peer into distant galaxies. BLOCK: Murad gets to see a giant cryo-vac chamber and a new instrument measuring the densest known objects in the universe. SCHNITTMAN: ...Catching X-rays from things like neutron stars and black holes and counting them up. MURAD: This is really an amazing tour. SCHNITTMAN: Well, good, I'm glad you were able to do it. BLOCK: Later, Murad tells me that his dream of becoming an astronaut feels more within reach now that he's a U.S. citizen. He and his brother automatically became citizens when their parents did. Murad was at school the day they took that oath. MURAD: I came home, and I looked at my parents and felt all this pride. You could sense that something has changed. They were smiling from ear to ears. BLOCK: Limara works at a school. And every morning, they all stand for the Pledge of Allegiance. Before, she says, it didn't touch her. LIMARA RAHIMOVA: But now, yes, and I know what each word in the Pledge of Allegiance means. And it means, for me, a lot. BLOCK: As for Murad, the rising high school junior has his sights set on going to Caltech and on that Mars mission he wants to lead. MURAD: Some people, they tell me to try to get, like, a real job - of maybe not shooting so high. But nah (ph), I'm shooting for it. I'm going to chase my dreams. BLOCK: Meantime, there's a celestial show about to happen, one he's been excited about for years - the total solar eclipse. Murad's hometown, Kansas City, is a perfect spot to see it right in the path of totality. Next Monday, he'll be outside watching as the moon slides over the sun - watching in awe and dreaming big dreams of space. Melissa Block, NPR News. (SOUNDBITE OF KELPE'S "VALERIAN") Transcript provided by NPR, Copyright NPR.